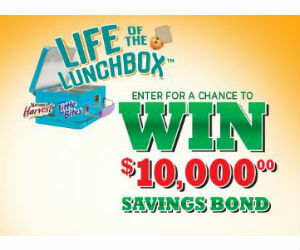 Enter the Bimbo Bakeries USA Little Bites Snacks & Nature’s Harvest Bread $10,000 Sweepstakes for a chance to Win a $10,000 Savings Bond or 1 of 10 Little Bites and Nature's Harvest Products. Enter by September 30, 2016 at 12:00 p.m. ET.